An act of theater, wherein money is raised solely to acquire play money. One abstraction — money — is converted into another, harder to name. A crowdfunded comedy courtesy artist and writer David Robbins. RR: What's on offer here? DR: Participatory theater, staged within accordion pleats of fiction and non-fiction. In its effect, yes, I expect it will be. That's why I'm doing it! But the idea is simple enough: Raise 1000 dollars through the crowdfunding process then buy as much play money as these funds will purchase. That's a novel kind of currency exchange. Actually the money raised will be divided equally into three play currencies — play dollars, play yen, play euros. Dough Play isn't "about" the dollar as a standard. That's not its subject. By buying three currencies, the thing I'm interested to frame manifests in three equivalent versions. Each type of play currency, together with the pitch video and a list of contributors, will go on display in its respective currency zone. Three venues — Green Gallery, Milwaukee, and Misako & Rosen, Tokyo, along with Le Confort-Moderne, an arts institution in Poitiers, France, will present Dough Play during the same week, mid-February 2016.
Who can predict? I'm just curious to see the effect. Nothing is for sale. It's theater. Material theater. "Money makes the world go 'round…"
More than ever, it seems, money shapes thinking. Where we used to talk about movies, we now talk about the box office they did. Art is now an asset where people park money. Money concerns shape our behavior all the time. We format our imaginations to produce in order to get more of it. Good or bad, it's reality. Money won! Money is a king. All of which makes it reasonable to want to see a small amount of money placed in suspended animation. Money has a way of devaluing everything that isn't about money. So let's reverse that. Let's separate money from its value, and see what that feels like. That's the fool's work. 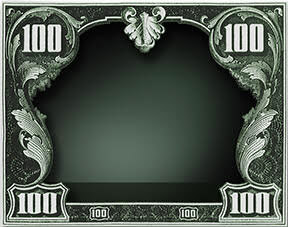 When art becomes too much about the money, try re-positioning the money! Is anything more abstract than money? A fluid, plastic, manipulable concept, an abstraction which, oddly, manifests much of the time as representation, pictures — bills, coins, checks…. In a sense, with Dough Play I'm transposing one massive abstraction — money — into an abstraction of another sort, harder to name. Crowdfunding usually applies money toward a clear, productive goal. Isn't what you're doing sort of a perversion of this positive impulse? I don't think so. By this point crowdfunding has been around long enough to be transposed into a self-reflective key. You could spend your own money to do this project. Wouldn't that be simpler than building a website, going through the Kickstarter process, and soliciting support? There's always a chance that a project won't receive support. Whenever possible I like to engage a real-world system because it makes the comedy more concrete. Comedy is an attitude toward the real, and I prefer to put the real front and center. Consistent with your ideas about concrete comedy. Absolutely. Using real systems in comedies displaces more reality. And isn't inviting participants more authentic to the connective tissue of money? All the contributors — the Dough Players — are agreeing to see their own money in the way I'm proposing. It becomes a group vision, which deepens the comedy. It's less purely subjective. It's sturdier comedy. Harder to knock over. So that's what I'd get for my contribution: a role in this theater? Yes. You'd get something to think about. And for contributions of fifty dollars or more you also receive the equivalent amount, in play money, of your contribution, along with a signed certificate of, um, authenticity.